Founded 2014, Future Star Equestrian Competition(FS) is an official IP held by Beijing Turf & Equestrian Association (BTEA). FS aims to provide opportunity for technical & cultural exchange. 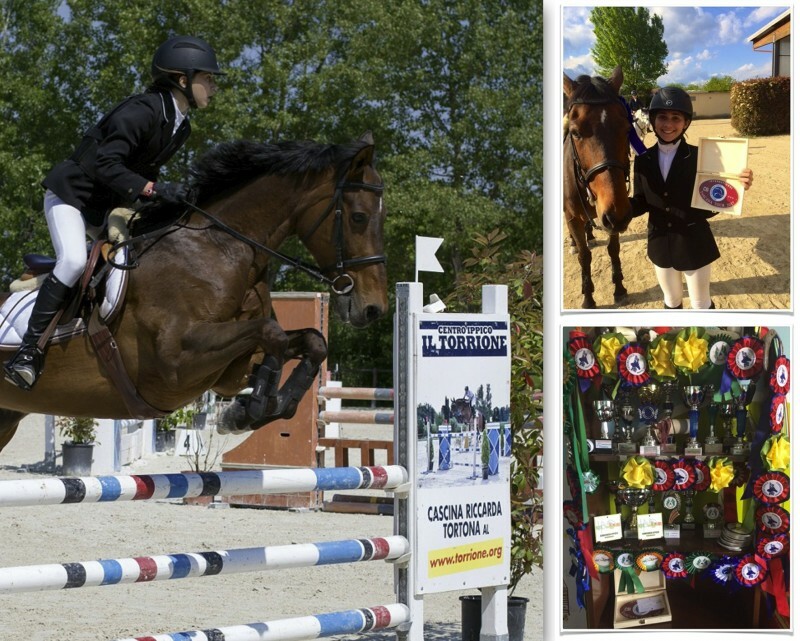 FS welcomes young “super riders” and excellent young horses to stage on and shine! As of June 2017, FS has successfully held 3 Finals in Beijing, total of over 20 foreign national champions who are under 21-year old to join the “Star Class” of the last 2 Finals. Besides, FS has offered Regional pre-qualifications in 10 cities outside Beijing to meet need of growing young rider crowd. This year, the Final is counting down on 18-19th of August! Be ready for the summer challenge! Have given “wild card” by below contributor with certain numbers of cards. The committee DO NOT accept individual registration. All registration must register by teams. 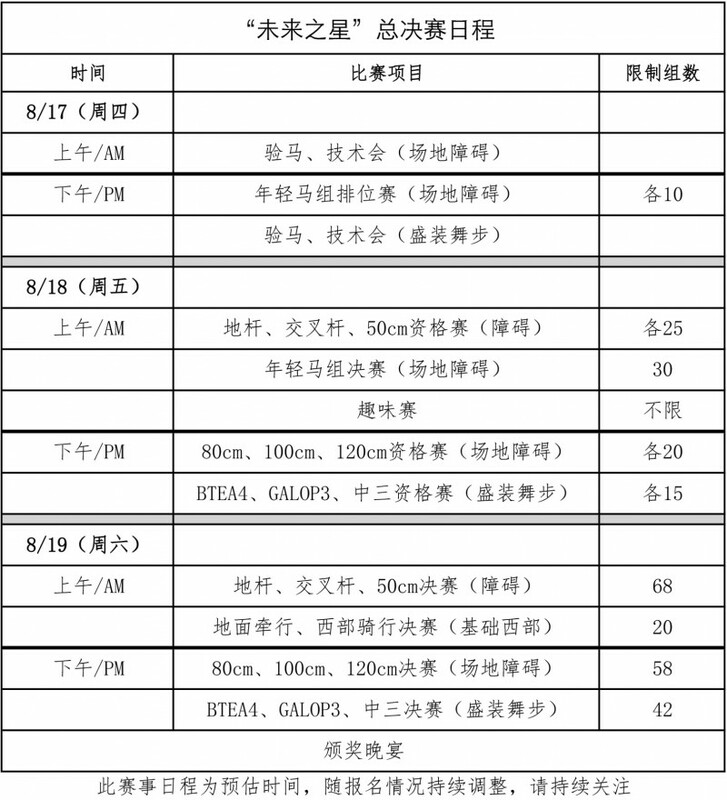 Riders representing teams located in Beijing and regionals that have no qualifications must pass the National Qualification(1st day) before going into the Final(2nd -3rd day). National Qualification has an elimination rate of 5-10%. Riders are free to choose 40% return on registration fee after elimination and rest, or to choose continue testing during the final with no rank. Besides 2 passes to the welcome party, each rider is also given 2 passes to the Award Ceremony Dinner on last-day evening. The committee has prepared a rich package for each registered rider, including: horse pad, towel, certification, professional photography, video playback and rider’s bio specifically to mobile audience. Each rider is given 2 passes to the welcome party, we kindly ask every attendee to bring 1 gift to the party, better wrapped up nicely, to exchange for 1 other gift by a stranger. 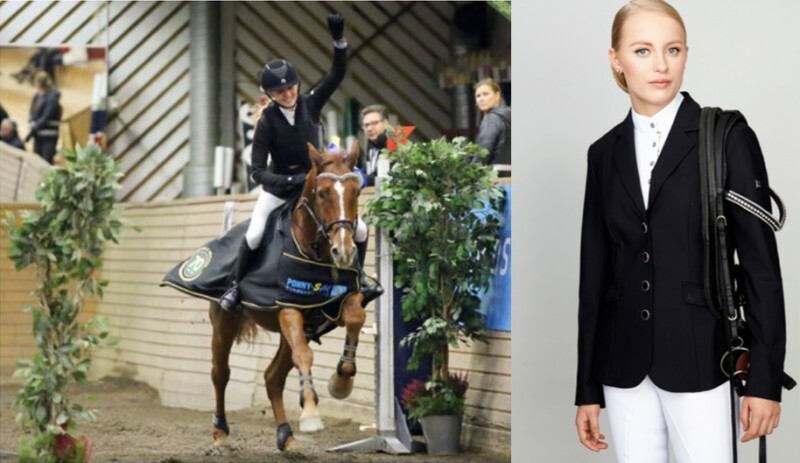 Riders will be social with people such as representatives from 7 cities that held FS Regional Qualifications, invited foreign national champions (youth), top Chinese young riders, owners of young horses and major media of horse industry. We look forward to unfold the big show and hope you enjoy the party! We keep professionalism so that riders are treated professionally. For showjumping and dressage, the judges are national and FEI certified plus over 30 years of professionalism. For basic reining, the judges are AQHA certified. Stewards and tech reps are selected directly by BTEA, among a pool of excellent judges who have been recorded at least 50 hrs of judge work. Course designer and the Vegetarian are also FEI certified.